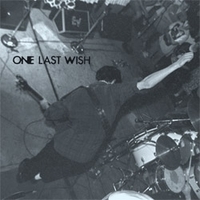 After their previous band Rites Of Spring broke up, Edward Janney, Brendan Canty and Guy Picciotto joined up with ex-Embrace, ex-Faith guitarist Michael Hampton to form One Last Wish in the spring of 1986. In November of 1986, the band recorded 12 songs at Inner Ear Studios with Ian Mackaye producing. With the release of "1986" on CD in 1999 the full results of those sessions were finally made available to the public. Now available on vinyl. Vinyl version includes free MP3 download of the entire album.